I just graduated from college in May, and many of my close friends are seniors. I remember the palpable anxiety in the air as recruitment season began in the fall. The stress of finding a job is assuredly a rite of passage, as well as a moment to reflect on values as we begin our career paths. No matter where one begins in their career, there’s always the potential to be intrapreneurial. I sat down with the brilliant Rasheeda Creighton of Capital One to discuss just that (and the full video is available to view below!). 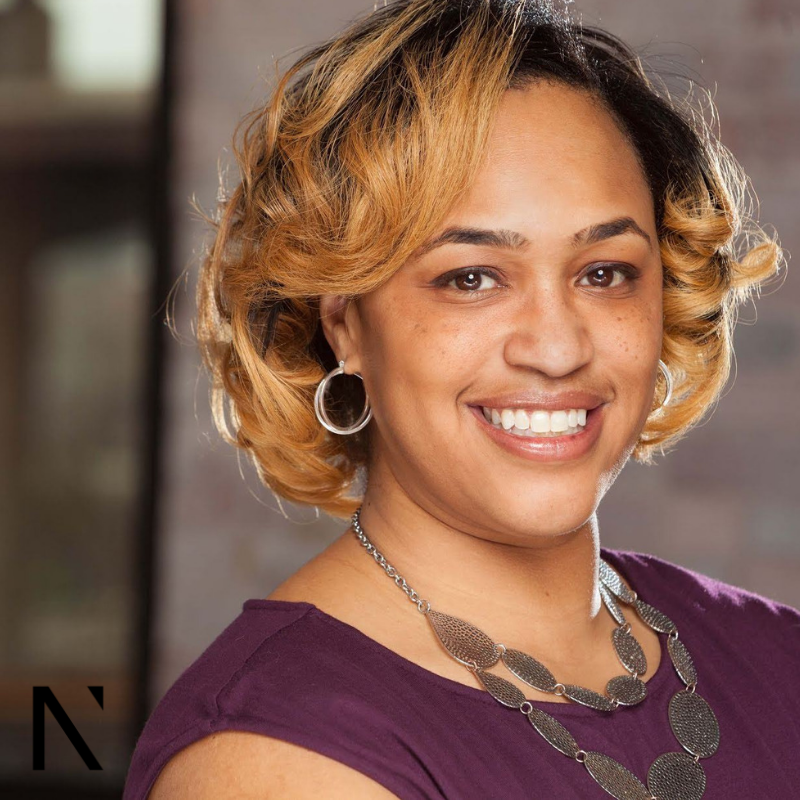 Rasheeda is the Executive Director of Capital One’s 1717 Innovation Center, and while she loves her job (for good reasons – more on that soon), she shared with me that it’s a far cry from how she had originally planned her life. When it comes to her career path, she calls it “kind of a funny story.” And truly, it’s a story of a series of unexpected twists and turns that have landed her somewhere she’s thrilled about. It’s a testament to the unfolding process of life. “When I was 12, I said I’m going to this college, and I’m going to be a lawyer,” she reflected, and she stayed true to her word. After college at Spelman, she went directly to law school at the University of Michigan, then became a clerk on the US Court of Appeals for the 4th Circuit in her hometown of Richmond, Virginia. One day, she received an email from her college alumnae chapter about a contract manager position at Capital One, and was immediately drawn to it. She found that she had a real passion for the intersection of tech and the law, but soon began to question whether she even wanted to continue in any role for practicing law. She continued to move around through a total of six different positions at Capital One – learning the business side from being a relationship manager on the supply side, such as managing relationships with business customers and negotiating deals. The most exciting part? The last three roles she’s been in were roles that didn’t previously exist. A few months later, it was hers. For her, the community is personal. From the rooftop of the center, she can see her elementary school, and comments upon having a ‘full circle moment,’ from the playground she played on in her early years, to work she’s doing that supports the community. Supporting others is central to Rasheeda’s identity. Her favorite quote is by Dr. Marian Wright Edelman, and she knows it by heart, reciting it without hesitation: “Service to others is the rent we pay for living. It is the very purpose of life, and not something we do in our spare time.” “Being in a role that not only supports entrepreneurs but community organizations that supports Richmond is the most rewarding thing about this,” she smiled. Rasheeda also discerned that opportunities don’t always come in the form that we expect. From her priority of ‘relationships first,’ she made a few PowerPoint slides and sat down with an executive to give him feedback on challenges he may run into for an idea of his. She then offered a solution – “Here’s how I’d think about it if I were you.” She told me, “I was not gunning for a job. I just liked him, and didn’t want him to get stuck.” But, her pure intentions led to a phone call a year later, when the executive admitted he ran into every challenge she predicted. He offered her a job. If a senior executive has office hours, Rasheeda sometimes goes in, not to pitch a new idea, but to simply ask, “How are things going? What are you working on?” She says they really appreciate that. “Everyone wants to be seen and heard,” she repeated, which gives me the same goosebumps writing this now as it did when she told me the astute words. Rasheeda’s best advice to young people is to have fun as they navigate their careers and to know everything builds upon the last thing. At the time, your path may not make sense. But, “build relationships, be your authentic self, and be teachable,” she shared. Rasheeda’s heart of service redefines how we can be intrapreneurs: by helping others selflessly, offering solutions, and making sure all those around us feel seen and heard. Thank you to Rasheeda Creighton for her sensational career advice and to Capital One for showing young people how a company can inspire mission and heart in all of its team members.